Specially adapted properties in London are in high demand. And a specially adapted property means a lot more than putting in a door big enough to fit a wheelchair through. 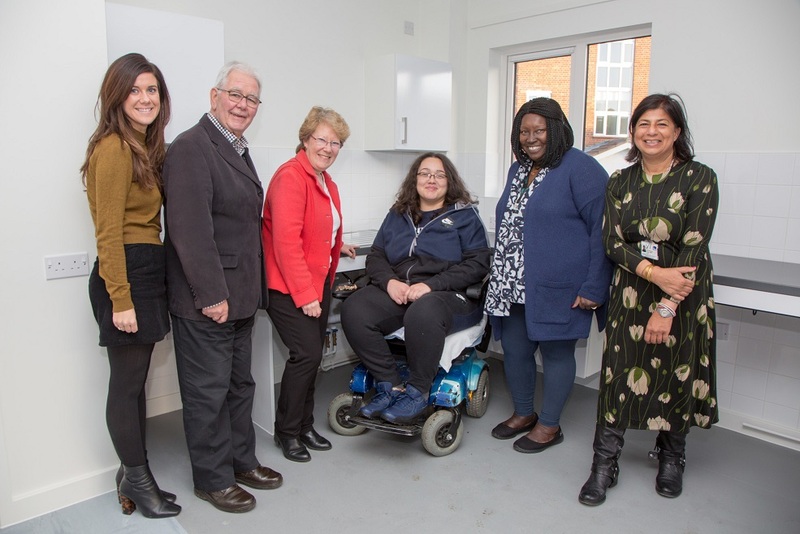 So it was with enormous pride that recently Opendoor Homes handed over the keys to a young resident for a specially adapted property in Gordon Court, formerly Elmshurst Crescent. Our developer Bugler and Chair of The Barnet Group Board Terry Rogers were also on hand to meet the new resident as well. The specially adapted Opendoor flat is one of 40 wheelchair accessible homes being built as part of the Registered Provider’s overall development programme. Misha’s housing outcome was also made possible with very significant input from Barnet Council’s Adult Social Care service. The recipient of the adapted flat, Mischa Speigel, was able to explain in no uncertain terms what it means for her life aspirations being able to move into a property that enables to her live with a greater means of independence. The flat has two bedrooms, one of which can be used for a live-in carer, specially adapted kitchen with reachable worktop units and cupboards as well as door and window locks that can be controlled electronically. Mischa, 27, said: “I am really happy and excited – the flat is so spacious and I am so grateful to be able to have a place like this. “People don’t know what it’s like to be disabled and/or physically limited. It’s so very frustrating. Living in a property that isn’t specially adapted means that you have to call carers to assist you with everyday things like cooking, being able to use the sink and getting to the loo. Everyday things that able-bodied people don’t even need to think about. “Other everyday things can cause a scene, like flagging down a bus, then everybody having to wait while the ramp comes down everybody looking at you. You can’t be introverted when you’re disabled otherwise you just won’t get anywhere or get to where you need to go. You want to hold on to your independence in other ways when it’s taken away from you. Opendoor Homes is a subsidiary of Barnet Homes and gained Registered Provider status from the Homes and Communities Agency in 2016. Opendoor will be developing 320 new affordable homes in the borough.